Jail was too much for this escaped inmate! This prisoner costume includes a bright orange polyester short sleeved shirt with "909830 State Inmate" printed in black on the front right corner. 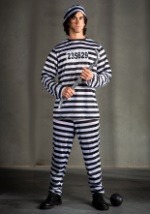 On the back of the shirt has "Inmate Dept. of Corrections" printed in black on the top middle area of the shirt. The pants are made of the same bright orange polyester as the shirt and have an elastic band around the waist to allow multiple sizes to wear them. 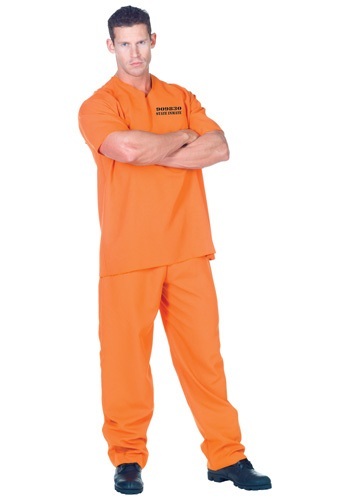 Be sure to pick up some handcuffs to give your costume the fresh out of prison look!